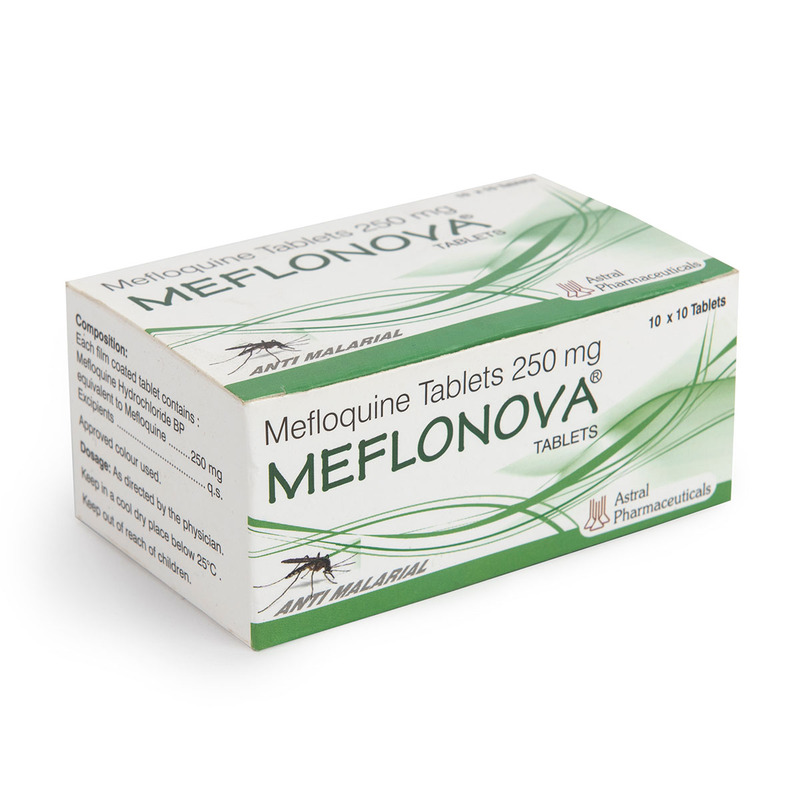 Mefloquine Tablets - Meflonova 1X10, 1X6 & 1X4 are our known antimalarial product in African countries. 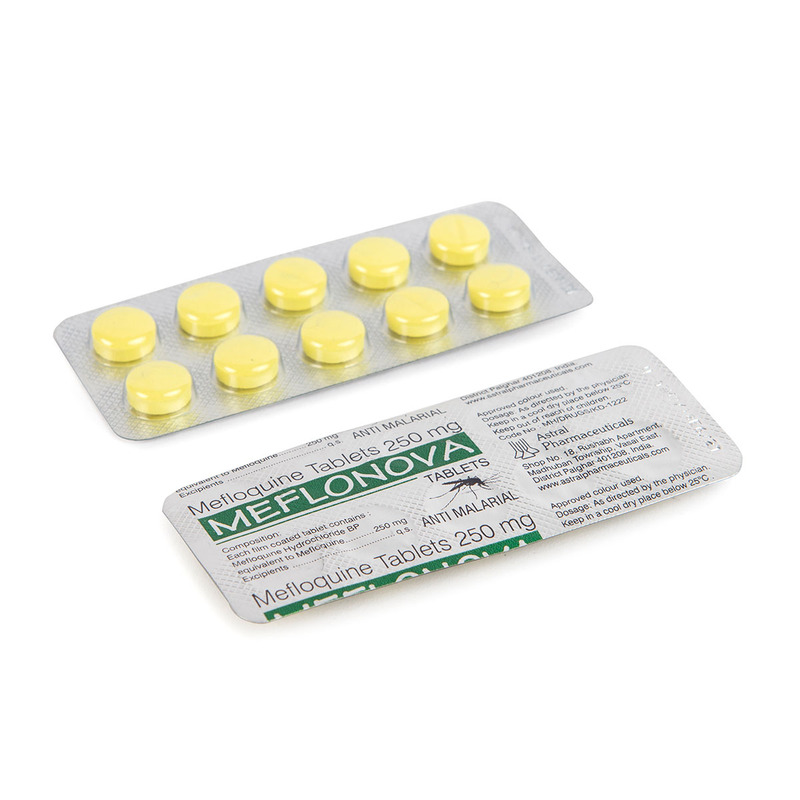 Ten Blister strips each of 10 tablets kept in a multicolor laminated box. 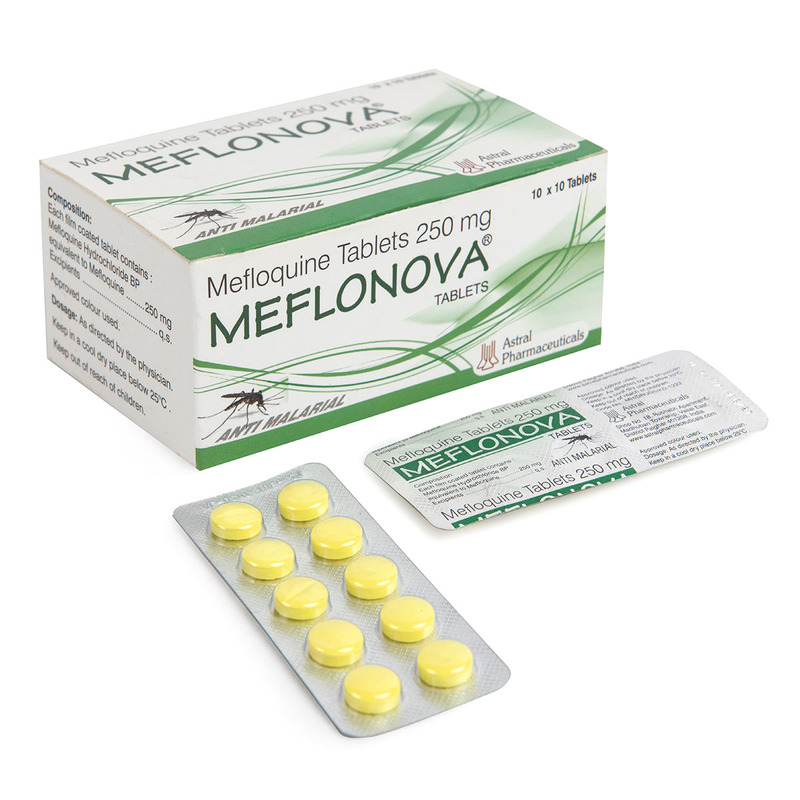 We also have in smaller packs of 1 x 4 and 1 X 6 tablets.